Owned and operated by Paul Romero, Amistad Insurance Services is a local, North Carolina-based insurance agency. We are insurance brokers in Raleigh, NC with over two decades of experience in the industry. By choosing us, your insurance needs are in good hands. Find the appropriate coverage for your insurance needs here. 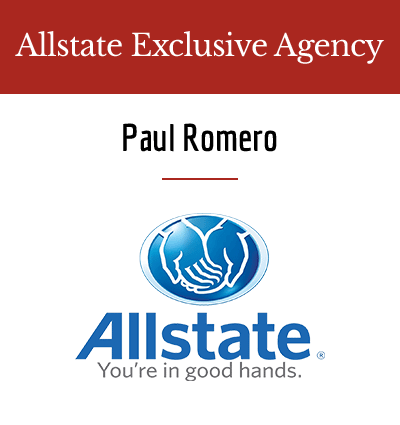 Our owner, Paul Romero, is a longstanding resident in Raleigh who understands the importance of protecting your home and assets. We provide insurance solutions that safeguard your financial future, giving you with the support you need when the unexpected happens. Our insurance agents deliver personalized service and tailor insurance programs for individuals, families, and business owners in Raleigh for the ultimate financial protection. We are a local, North-Carolina insurance agency that puts your needs in mind. Our team provides an in-depth evaluation of your needs then matches your requirements with the right insurance coverage in Raleigh, NC. We specialize in providing facilitation services for auto, renters, home, business, life and motorcycle insurance. Our team analyzes your insurance requirements and determines which program provides the best value for your budget. We also understand the complicated and mercurial nature of the personal insurance industry and provide you with an insurance solution that shields you from financial risks. Our experience in the industry has allowed us to determine the best possible options for every need and every customer. As a result, we use that knowledge to make sure all of our clients get the most beneficial insurance policies at the best rates possible. We don’t focus on getting clients to purchase cut-rate insurance at low prices just to make a sale. Instead, we take the time to educate our clients about all their options and the type of coverage they really need to be well-protected. ● Stellar customer care – We are seasoned industry professionals enthusiastic about helping you find insurance coverage that fits your budget. ● 24-hour auto insurance phone services – Our team is available 24/7 to assist in insurance-related matters. So call us anytime — our insurance agents are bilingual and can converse with you in English and Spanish. ● Competitive rates – Find an insurance program in Raleigh, NC that matches your insurance and business needs here. We provide comprehensive and affordable coverage for individuals, families, and business owners in Raleigh. ● Local industry experience – We have been providing dependable, customer-oriented insurance services to the Raleigh community for over 20 years. Take advantage of our local industry experience and partner with us today. Call us 24 hours a day for free auto and affordable renters insurance quotes with no obligation whatsoever. Get in touch with us today. North Carolina has arguably one of the best auto insurance laws in the country, and the state requires all car owners to have this type of insurance. This ensures that in the event of vehicular accidents, everyone involved can sustain payments in case of damages or injury. Minimum liability coverage limits are set at $30,000 for bodily injury liability, per person per accident, with $60,000 of bodily injury liability total per accident. There is also a set limit of $25,000 of property damage liability per accident. However, with the rising cost of cars and of medical bills, alike, the minimum requirements might not be sufficient to cover all damages that you incur should you find yourself in an accident. Because the state requires all drivers to have insurance, North Carolina laws do not allow car insurance companies to refuse liability coverage to drivers. However, high-risk drivers will typically pay higher premiums in order to offset potential losses should they figure in a mishap. To deter bad driving and to entice people to purchase auto insurance, the North Carolina's Safe Driver Incentive Plan (SDIP) was started. In efforts to promote safe driving, the North Carolina SDIP has implemented a point system that increases insurance costs for unsafe or reckless drivers. Basically, bad driving behavior is scored accordingly, which is, in turn, penalizedwith an increase in car insurance premiums. Every traffic violation or accident comes with corresponding points, with the severity of the accident or violation determining how many points the driver receives against him or her. Every point a driver incurs also considerably increases their insurance premium rates, with a single point resulting in up to a 30% increase in insurance rates. These facts underline the necessity of finding the right automobile insurance provider in Raleigh, North Carolina. But before going out to get insurance, here are some things to keep in mind to ensure that you are always protected from significant payouts and that you maximize the policy you purchase. Review your current policy, study it, and make sure you know what your policy does or does not cover. Uninsured motorist, med pay, collision loss, and bodily injury are all areasto look out for. Not only will studying your policy give you a better understanding of what you need, the knowledge will also help you if you have to make an insurance claim in the future. Don’t go with the bare minimum of coverage. Although each state has laws that set minimum auto insurance coverage for its residents, it’s always best to settle for more than just bare minimum. Legally, you are responsible for any damages that are not covered by your policy, which means that if you are unable to pay for damages you incur, your future earnings and assets, such as your house, can be seized and used as payment for car damages and medical expenses. Having an insurance policy that is above standard gives you a buffer for any unforeseen expenses. Do make sure your current policy reflects your current needs. Most insurance policies are purchased along with a new car, and owners are quick to forget about it until it’s needed. However, your priorities may change over time, which might not reflect the conditions when you first purchased your policy. Again, review every aspect of your policy and weigh it againstyour vehicle’scurrent condition: is the policy appropriate for the age of your car? Does your current mileage facilitate a better policy? Has the value of your car increased or decreased since you first purchased it? Other factors, as well, affect your insurance rates, such as having an advanced degree, or a change in marital status. As your needs and priorities change, so must your insurance evolve with these. Take these into consideration and update your policy, accordingly. In North Carolina, it is illegal to drivewith expired auto insurance. Apart from breaking the law, insurance companies see expired auto insurance as a red flag. This may make it difficult for you to renew your insurance, as most companies will be suspicious of holders of lapsed policies. Again, review your policy and keep it up to date to make sure that you are fully covered, 100% of the time. When looking for an insurance provider, always inquire about your eligibility for discounts. Insurance providers will usually offer good deals for first-time buyers, and will assist you in getting the policy that fits your needs. Auto insurance providers in Raleigh, North Carolina offers certain discounts for people with a good driving record, or homeowners. Some companies also give out discounts for mature drivers over the age of 55, although the age of eligibility may vary. When renewing your policy, inquire, as well, if you can receive credit for not having a loss or conviction during your last policy period. While the best way to maintain low car insurance rates is to obey traffic laws and avoiding reckless driving behavior, taking advantage of discounts and credits can potentially save you a lot of money in the long run. Don’t ignore time limits set by your policy. In unfortunate cases of accident or damage, most policies will require a proof of loss within a certain period. Make sure that you follow this requirement, as you may be unable to claim adjustments after a certain amount of time. Most policies have a one-year time limit from the date of loss during which you can bring your case to court. However, if you think your claim hasn’t been settled properly within 11 months, consult your lawyer, immediately. 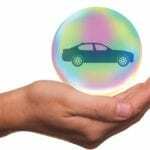 Automobile insurance shields youfrom the burden of paying significant amounts of money for damages and medical bills. With this in mind, find an insurance provider that can best serve your needs and priorities. 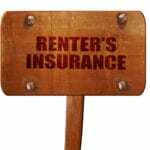 A Guide for Renters: What Does Renter’s Insurance Cover? Amistad Insurance is your one-stop shop for 24-hour automobile insurance services and much more. At Amistad Insurance, we understand the importance of getting comprehensive coverage for your policy, and we can ensure that you get just the right coverage for your needs. At Amistad, we don’t believe in pawning off low-cost, low-coverage policies onto our valued clients. Instead, we take the time to find the best range of options available to them so they can make the best decision for their coverage needs based on the fullest information available. "Great people to do business with quick and to the point and gave me the right best quote ever. Thank you guys." "Insurance is necessary and can be an aggravation. Since we became clients of Amistad, we have had nothing but positive and personalized experiences. Paul and his staff are what every customer/client based business should strive for: efficient & effective service provided by knowledgeable professionals who treat you as a valued client. We recommend them highly." "Great experience so far. The staff is very friendly and prompt to my needs. The agency owner Paul is always available when I need to speak with him directly. Thank you!" "Great customer experience .. when it comes to being prompt and friendly. Staff do an excellent job....very knowledgeable!" "Professional service, they value my business." "Very nice people there! Thank you!" "Esta es la mejor agencia de de seguros que he conseguido, ellos me tratan súper bien que están al tanto de todos los detalles acerca de mi poliza de seguros, yo estoy muy agradecida con Paul y todo su equipo de trabajo porque son los mejores ya me tengo que preocupar por nada relacionado con mi seguro."